The sparkling future royal that is Meghan Markle, we just can’t get enough! We love to know all about every part of this future royal’s life, including the food that makes this celebrity so super. What is it that gives Meghan the energy to get through the day? It looks as though Meghan Markle is another person in this world that can’t help but head to the Instagram-famous foods. You know the ones we mean: the juices, sushi, and mason jar salads. This future princess did grow up in Los Angeles, the home of many of these online trends, so it may not be too much of a surprise that Meghan has grown to love these food options. However, now she no longer runs any social media accounts we wonder if she’ll stick to these choices? Breakfast. The most important meal of the day. So just what does Meghan chow down on to start her morning? Acai bowls! Many of us have seen our Instagram feeds filled with these breakfast creations, and this princess loves to start her day off with one too. A former Los Angeles juice shop favorite of Meghan’s reported that she would be in to order bowls all throughout the week. The owner said Meghan would order anything from hemp hearts to chia seeds or bananas as she loves to pump them full of superfoods. There is one meal that Meghan has admitted she dreams of at night. What could be so good that it preoccupies a future royal’s mind in slumber? None other than grilled fish tacos. Yup, you read that right! Meghan admits that she is totally in love with the meal, and would choose them any day of the week. Move over Harry; you’ve got competition. Meghan has confessed that she follows the Clean Cleanse, a 21-day cleanse that sees people cutting out all processed food. People using this cleanse also steer clear of common allergy-causing foods such as dairy, gluten, and sugar, as they focus on drinking smoothies and shakes instead. The idea is to give your digestive system as little work as possible to keep everything in balance. Another part of Meghan’s diet is a whole load of veggies. This is why her snacks usually contain a vegetable of some sort. Instead of potato chips, Meghan opts for the healthier kale version to keep her cravings to a minimum. Another on the list of Meghan approved snacks is a bag of carrot sticks teamed with hummus. Sounds delicious! Although it doesn’t sound like it, Meghan never deprives herself if the food she wants to eat. This is what the weekends are made for. This star makes sure that Monday to Fridays are used to remain healthy, while the weekends are there to catch up on any cravings. 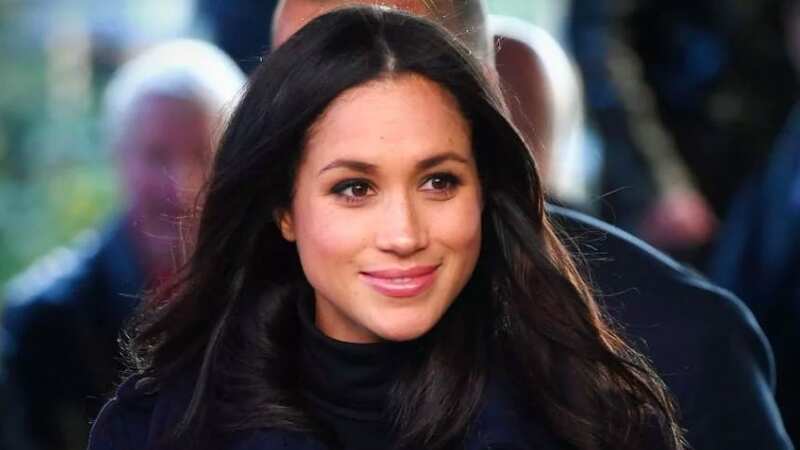 Some of Meghan’s favorite indulgences include fries smothered in cheese and gravy, as well as funnel cake covered in marshmallows, caramel, and chocolate. Our taste buds are definitely tingling. Many of us may head to the coffee house to get our energy levels up, but not Meghan. No, instead she grabs a green juice instead. The star admits that her favorite blends include ginger, lemon, spinach, kale, and apple which all give her the boost she needs. In fact, Meghan feels these drinks helped her get through many long days on set. With so many of these foods originating in LA, we hope that Meghan can still get her American food fix all the way in London. Although we’re sure that the royal family doesn’t scrimp when it comes to chefs, so we’re pretty sure that all of Meghan’s needs will be covered.